To protect against losses on low-down-payment loans, lenders require mortgage insurance for any loan-to-value higher than 80%. This is applicable for all conforming conventional Fannie/Freddie loans. In case of default, a mortgage insurer would pay a claim to the holder of the mortgage. Because of the cost of foreclosure, a mortgage insurance claim helps reduce the negative financial impact of a default. In addition to mortgage insurance for conforming conventional loans, there are two other types of mortgage insurance – required MI for FHA and VA loans. PMI, short for Private Mortgage Insurance, is the type of insurance found on conventional loans. There are currently six private mortgage insurance companies. These companies individually set their own product guidelines, pricing, and make approval decisions. Mortgage insurance approval is necessary for conforming loans with down payments less than 20%. MIP, short for Mortgage Insurance Premium, is the type of insurance required for FHA (Federal Housing Administration) loans. No matter the down payment amount, MIP is required. For most loan terms and down payments, MIP is paid in both an upfront premium and an annual premium. This annual premium is actually paid monthly by the borrower…and remains on the loan for life of loan in most circumstances. If at the time of the original purchase the borrower put down 10% or more, then mortgage insurance drops off after 11 years. The Funding Fee is for all VA loans. 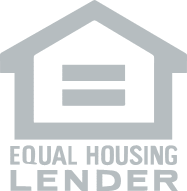 Unless the veteran is exempt from the fee (usually if disabled while on duty or if it’s a surviving spouse from a veteran who is KIA), the fee is typically financed into the loan amount. For the funding fee, there is no monthly payment. A first-time use veteran with 0% down will pay a 2.15% funding fee. Subsequent use, or if the veteran is part of the reserves rather than active duty, will increase the funding fee.